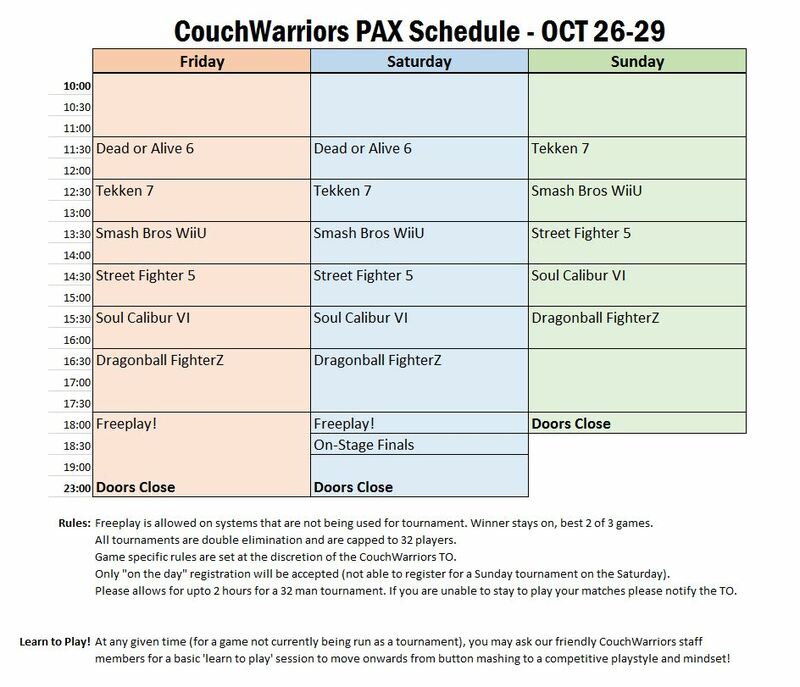 The guys from CouchWarriors are bringing all the fighting game goodness to PAX Australia this year with a host of tournaments and even a panel to keep you fighting fit. On Saturday, the finals for the Smash Bros 4 and Dragon Ball FighterZ finals will be live on stage. Alongside that, you’ll see an exhibition match in the upcoming Dead or Alive 6 title, with some special announcements in the “CouchWarriors Fighting Game Community Tournament finals” in the Fruitbat Theatre. They’ll also be running tournaments for Soulcalibur VI, Dead or Alive 6, Street Fighter V Arcade Edition, Dragon Ball FighterZ, Tekken 7 and Super Smash Bros all weekend, with tournament winners winning a limited edition PAX Australia medal. More about the schedule and rules for the tournaments can be found here. PAX Australia is a part of Melbourne International Games Week 2018. For more information on this event and a full schedule, you can check out the official site.